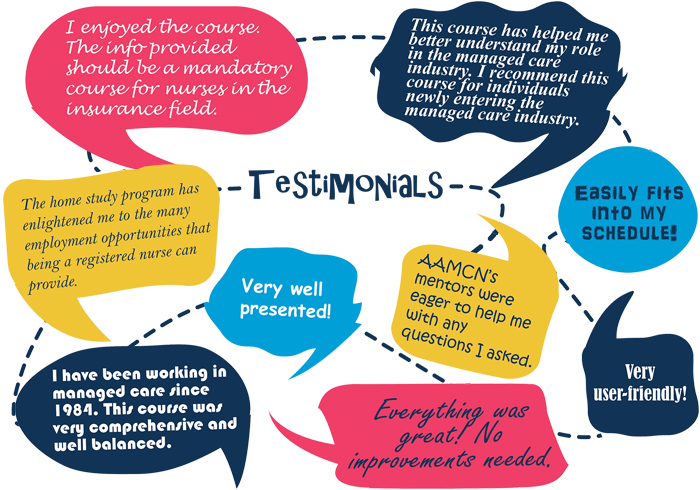 The AAMCN Home Study preparatory course provides a comprehensive understanding of the core areas within managed care nursing. The course is an excellent introduction for nurses transitioning from direct patient care, allows flexibility for nurses working in one role to transition easily into another within the organization, as well as enhances the knowledge base of nurses who have been working in managed care for years. Licensed social workers and licensed professional counselors working in a managed care setting will also benefit from the Home Study information. 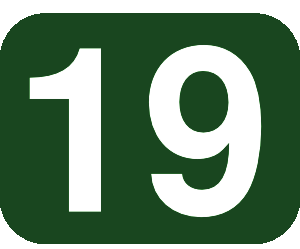 Once you order your Home Study, you will have 6 months to complete and return the post-test, which will earn you 19 CNEs with a passing grade of 70% or better. After you complete the Home Study, you then have a 4-month window to sit for the CMCN Exam. The exam fee is $250. Many people find our exam to be convenient in that you don't have to travel to a testing location. Most can have a certified CMCN, a supervisor or a member of their HR department proctor the exam. The exam can also be taken at one of our annual conferences, or at a public library or college. Once you have earned your CMCN certification, you can renew it every 3 years with 25 continuing education credits. The renewal fee is only $55. Licensed Social workers and licensed professional counselors may also test to become a Certified Managed Care Professional (CMCP). You can learn more about the certification process and the CMCN/CMCP exam at the American Board of Managed Care Nursing’s website: www.ABMCN.org. The Home Study course includes paper bound books, audio book CDs, and the newly introduced eLearning portal. The eLearning portal hosts all of the Home Study content online where it is readily available for you to view on your computer, tablet, or smart phone wherever internet access is available. The course content has been optimized to include full video presentations and interactive quizzes. 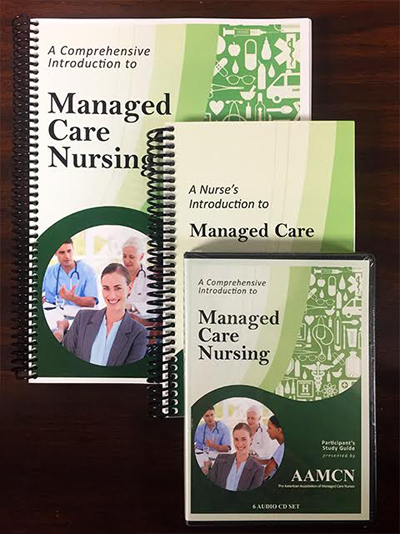 A Nurse’s Introduction to Managed Care, Fourth Edition Textbook was revised June through December of 2016 to provide nurses with a better understanding of managed care. As managed care has changed, this textbook has also been updated, this being the fourth edition. Over the last few years, the healthcare industry has changed from a simple fee for service to an arena with several reimbursement schemes; new and everchanging rules; and a geometrically expanding list of new technologies and clinical trials. The authors of this text are nurses and nurse executives who are experienced in managed care and have collaborated to update the guidance, information and references in this textbook. AAMCN’s managed care textbook comes with the Home Study course, or you can also purchase it separately at a member and non-member price. Purchasing the textbook separately does not provide eligibility to sit for the CMCN exam and it does not provide any continuing education credit. Completing the AAMCN Home Study course will prove you are eligible to sit for the exam. After passing the exam and earning your certification, you will be able to use the credentials 'CMCN' (Certified Managed Care Nurse) after your name or 'CMCP' (Certified Managed Care Professional) for licensed social workers and licensed professional counselors. Employers will recognize the efforts you made to advance your education and will be more likely to hire you for positions in case/care management, disease management, quality and utilization review/management. *Please note: completing the Home Study course does not certify you as a CMCN/CMCP. You must pass the exam provided by the American Board of Managed Care Nurses to earn certification. 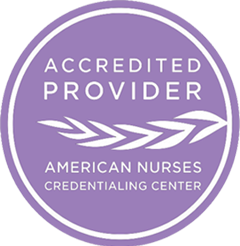 The American Association of Managed Care Nurses is accredited as a provider of continuing nursing education by the American Nurses Credentialing Center's Commission on Accreditation.